Started by Michael Bishop. Last reply by Rechung Fujihira Mar 3, 2011. You need to be a member of Hackerspace to add comments! Techworks has a Tech Tuesday on the last Tuesday of the month. There is one on Jan. 28. The primary presentation will be about UAV, mainly quadcopter. Tech Tuesday also presents an opportunity for those still in school to prepare and present presentations, with very few hecklers <g>. Email Techworks for more info. hmmm gotta get a visit scheduled over there in new year. Maybe we should have a hawaii hackerspace tour - visiting all four active groups. Nice! I look forward to checking out Techworks next time I'm on the Big Island. @Ted Stethem - Hawaii Techworks sounds very interesting! The link you provided seems to be down. They're already up and running, or at least hosting events (the space/lab may still be coming together). There's an EasyBotics workshop next week, for example. Has anyone here heard of Hawaii Tech Works? They're based in Hilo, and apparently are just starting up. I'm looking forward to HTW opening. Hacker? 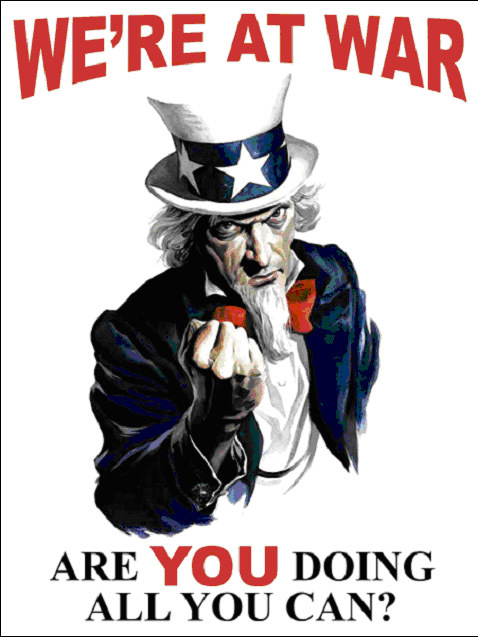 Uncle Sam Wants You!! WASHINGTON, Aug 2 (Reuters) - The National Security Agency has a challenge for hackers who think they're hot stuff: prove it by working on the "hardest problems on Earth." Computer hacker skills are in great demand in the U.S. government to fight the cyber wars that pose a growing national security threat -- and they are in short supply. For that very reason an alphabet soup of federal agencies -- DOD, DHS, NASA, NSA ..... -- are all descending on Las Vegas this week for DefCON, an annual hacker convention where the $150 entrance fee is cash only -- no registration, no credit cards, no names taken. Attendance is expected to top 10,000. Please stop by our Google Groups page or main page for more regular announcements!